WWE is getting six new Superstars on their way to the main roster. At last night’s television tapings, both EC3 and Lacey Evans wrestled before RAW was on the air. Some people said it was for a main even taping, but others said their matches wouldn’t be included. 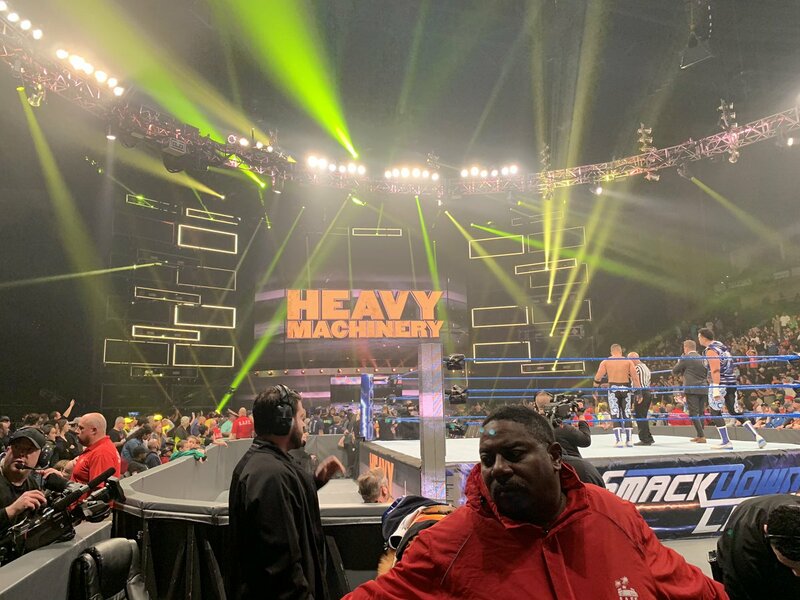 During a dark segment for the live crowd in Jacksonville last night, Heavy Machinery was also in the building and they wrestled The Colons. The upcoming team won their match and the crowd was very happy to see them work. We will have to wait and see how they’re treated on television, but they got a good response last night. You can check out some shots from that match below.